Water sports and equipment have come a long way since when they first became popular. The latest in water sport technology is here and does not disappoint. The Sea-Bob is a one of a kind experience that is a must for anyone seeking the adventure of a life time. Be on the forefront of water sport equipment and dive into the ocean like you never have before. Originally designed in Germany, the sea-bob is a high powered electric scooter that can be used to both travel across water or below it. 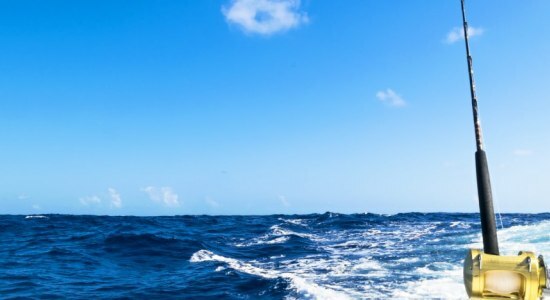 The sea bob is completely unique in what it offers the rider and will allow you to travel through the ocean like never before. The sea-bobs design is pure comfort. It has grooves perfectly moulded to comfortably fit your arms as well as a light, 29 kg body that feels like you’re carrying almost nothing at all; it’s the perfect combination of both luxury and ingenuity. The sea bob’s intuitive control system allows you to learn how to use it like a professional within your first ride. Its controls allow for an easy piloting experience and will see you swimming amongst spectacular marine life in no time. Its speed will make you feel as if you’re as fast the dolphins swimming beside you as you pilot it. Hitting speeds of up to 15 kilometres above water and 11 kilometres below water, the Sea-Bob is unbelievably agile and offers an unforgettably smooth diving experience. If you’re seeking to cruise across the sea with the wind in your hair, then the Sea-Bob’s above water feature is the perfect option for you. It’s easy to use style and modest speed give you an excellent swimming experience. If the underwater world is for you, then the sea-bobs below surface feature is exactly what you need. Never before have you been able to dive so freely and smoothly into the ocean and be able to surround yourself amongst the beautiful aquatic life below. Its electric motor makes almost no sound at all, meaning that you won’t be startling any of the marine life surrounding you, giving you a completely immersive underwater experience. You’ll be able to impress your friends and family with the Sea-Bobs gorgeous visual design. Perfectly shaped and moulded to compliment the rider, you’ll feel as if you were born to ride it. With a wide array of gorgeous colours from red to yellow, as well as a chromes finish, the Sea-Bob will leave any spectators in awe of what they’re watching you experience. The Sea-Bob is one of the best pieces of water equipment on the market and we’ve made it available for you to experience at anytime. Be the envy of your friends and dive into the ocean amongst the marine life like no one has before with this once in a lifetime experience. Sea-Bobs are available across all of our yachts, so no matter what you choose to charter, this is awaiting you. Don’t miss out on this. 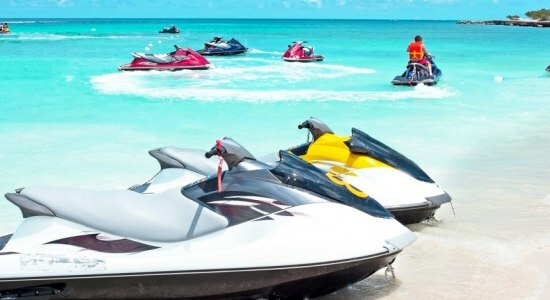 When it comes to water sports, Jet Skis are a must on any charter. Originally produced by renowned Kawasaki, our next generation Seadoo’s will have you slicing through the warm blue waters, making your Yacht experience something you will never forget. Water donuts are easily one of the most exciting aquatic experiences you’ll ever have and we’re offering them to you! Charter any of our yachts and we can guarantee you a donut ride that you’ll never forget. The Paddleboard allows you step away from the comfort of the yacht and experience the exotic oceanic wildlife first hand. 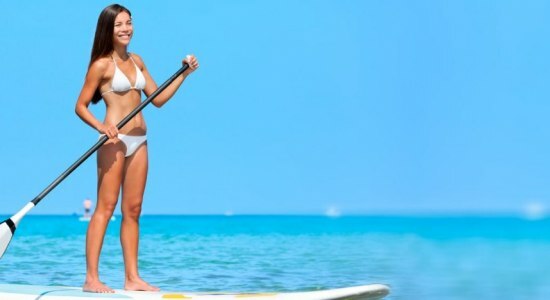 Paddle Boarding is also a fantastic workout and a popular way to relax and explore the ocean with family and friends. 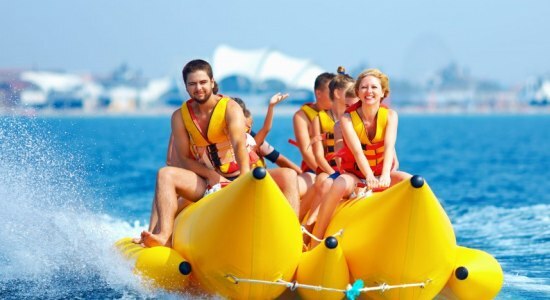 If you are seeking an exhilarating water experience, banana boat rides are one the most popular Watersport to this day. 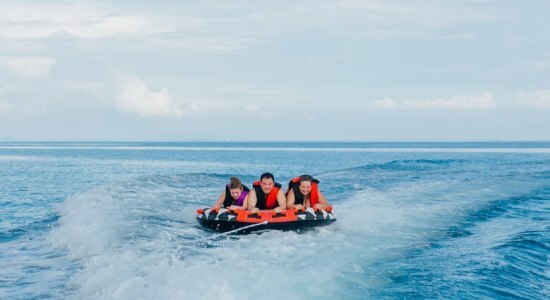 The banana-shaped inflatable tow toy is available with all our yacht charters, and is pulled at your desired speed behind our tender to provide thrills for all ages and group sizes. Nothing beats casting a rod over the edge of your private yacht, as you kick back and wait for a bite. Seven Yachts offers deep sea fishing trips as well as recreational fishing for corporate groups and yung families.